The journalist and former dating columnist’s first book looks back on her life with humour and a delightful lack of self indulgence. Alderton breezes through tales of humiliations, failed romances and an eating disorder in a fairly matter of fact way without seeming to want to dwell on them for too long or to feel sorry for herself at all. Despite the breezy tone, Alderton recalls feeling like she was “toppling from a gale of anxiety” at the age of 27 and finally opened up the “dark recesses” with her therapist until she found a sense of self. 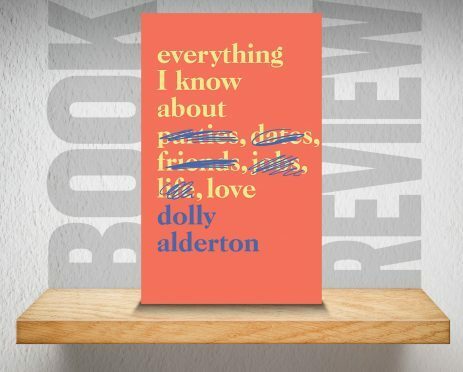 There’s a perfect balance of light and shade in the well-paced book which ends by Alderton revealing what she has learned about love by the age of 28. It’s an inspiring final chapter, worthy of any self help book, with a strong message about being happy with who you are before expecting anyone else to love you back. Alderton seems wise beyond her years, so hopefully her delightful debut won’t be her final book.